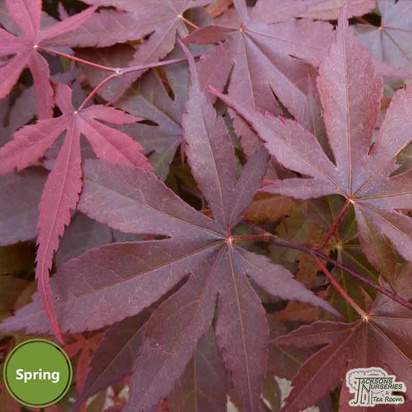 Acer palmatum dissectum (cut-leaved Japanese maple) are small, decidous trees grown for their graceful habit, beautiful coloured foliage that is often deeply dissected the Acer is a perfect addition to any garden especially if you're looking to add some autumn interest. 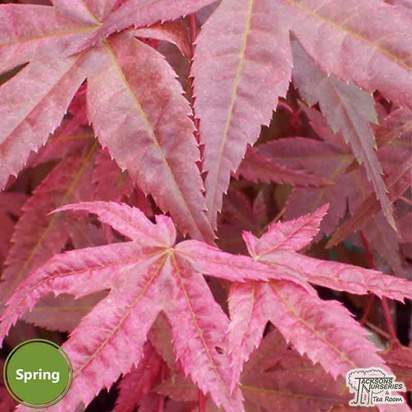 Many cultivars are extreemly slow growing, making them perfect for small gardens or grown in pots. 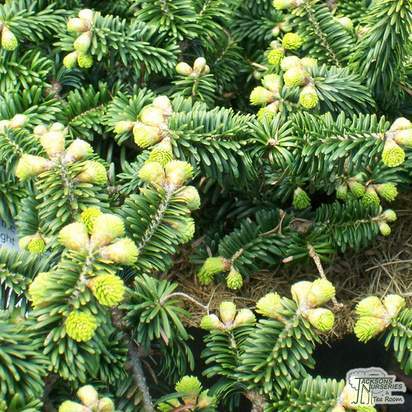 Perfect for the rockery, or as a focal point in a tub or border. 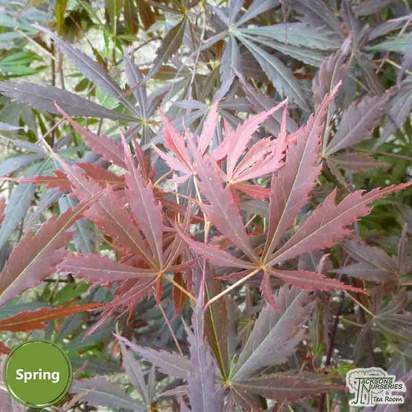 Colours best in partial shade, but can tolerate full sun, however scorched leaves may occur. Outstanding variety. 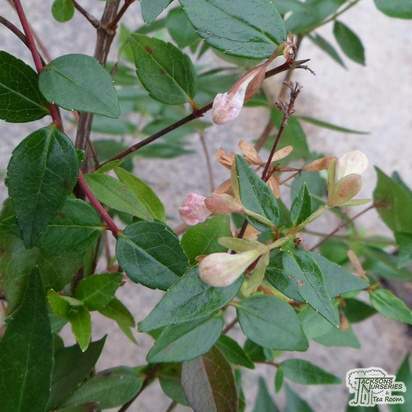 The main purpose of grafting ornamental plants and trees is to combine features of one variety with the more vigorous or resilient root stock of another. 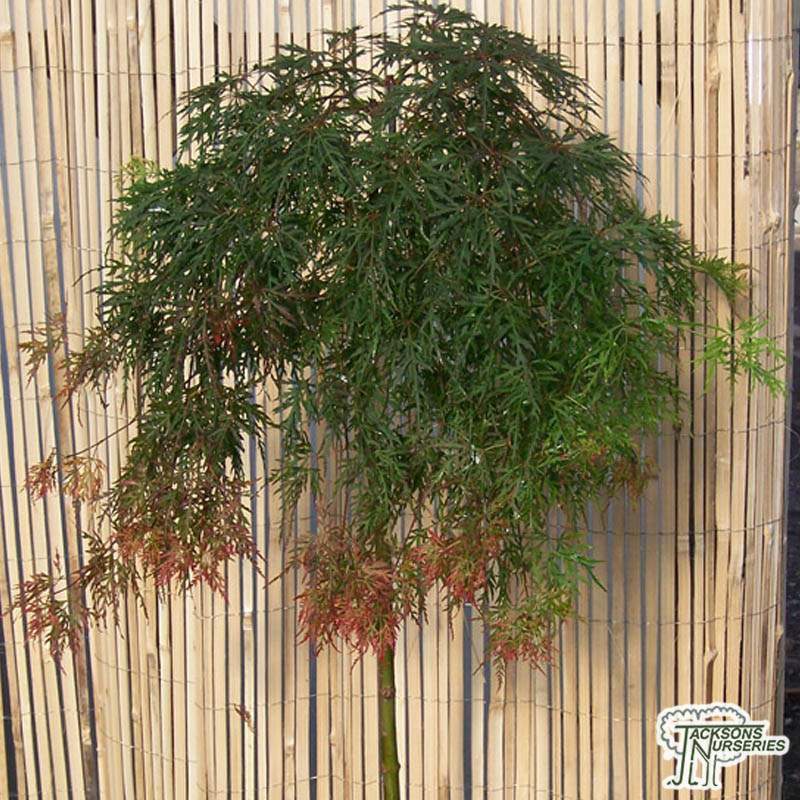 Grafting of Japanese Acers also has the added benefit of controlling the height of the tree depending on where the graft has been made. 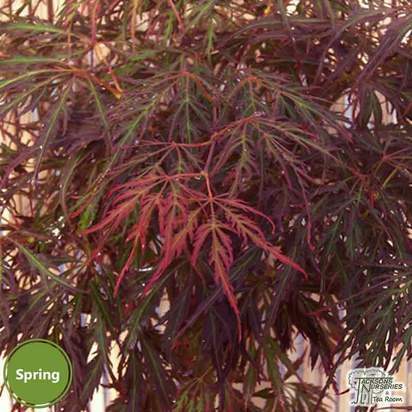 When a Japanese Acer has been grafted some leaf reversion may take place or incorrect growth from the grafted base. 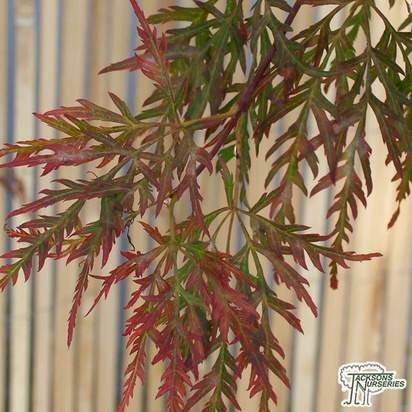 If this occurs, pinch or prune out the incorrect stems once the leaves have fully unfurled. 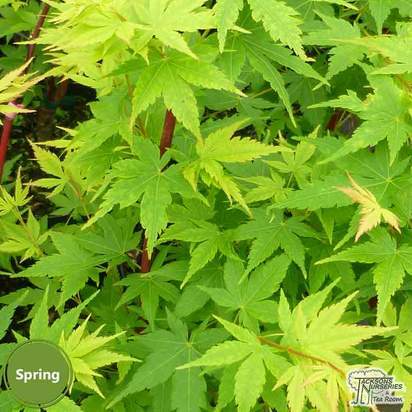 The perfect conditions for growing Japanese Acer would be well drained loam, slightly acidic and sandy with a good amount of organic matter but they will grow in most soil types. 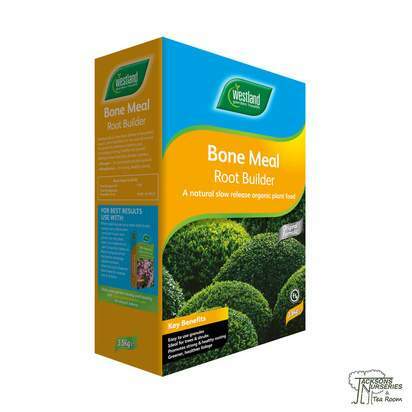 Avoid overly wet, dry or alkaline conditions. 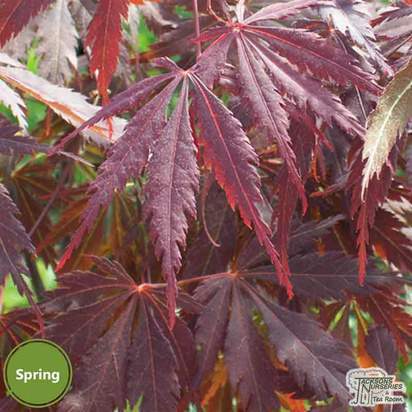 Positioning your Japanese Acer will depend on the variety but most will grow best in a sheltered position. 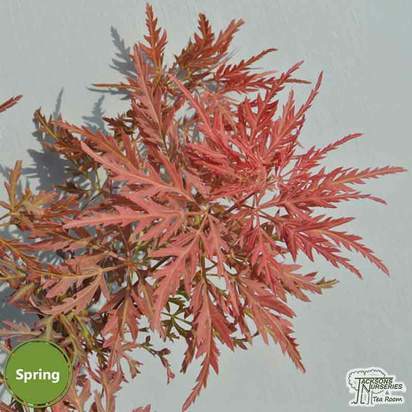 Green-leaved trees will tolerate full sun but some shade in the brightest of conditions will help prevent scorch. 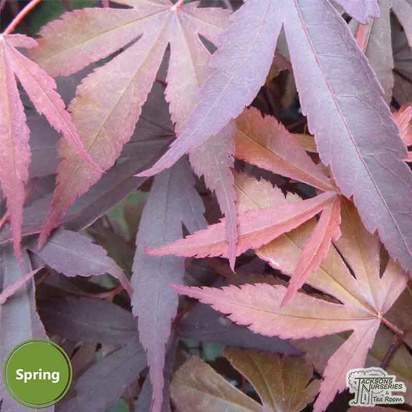 Red/Purple leaved trees will need some sun to help their develop their rich colours while variegated leaved trees are more suited to partial shade as they are more susceptible to scorch from the afternoon sun. 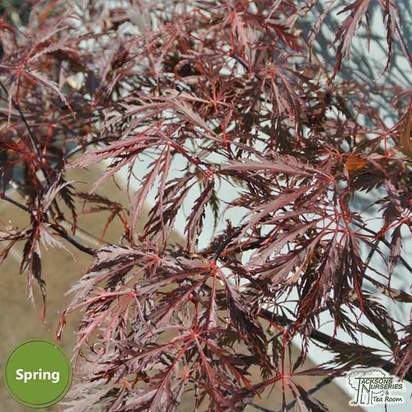 Mulch your Japanese Acer every other year with well-rotted garden compost or manure. During early establishment ensure that mulch does not come into contact with the collar. 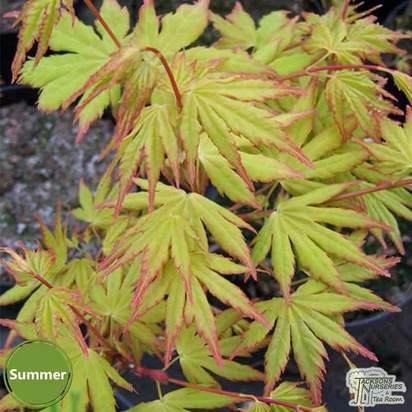 Japanese Acer have shallow fibrous roots and are ideal plants for growing in containers. 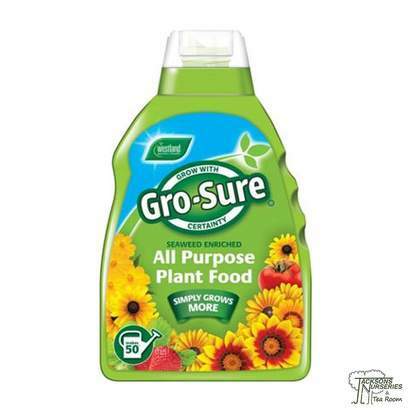 Ensure good drainage and do not over water. 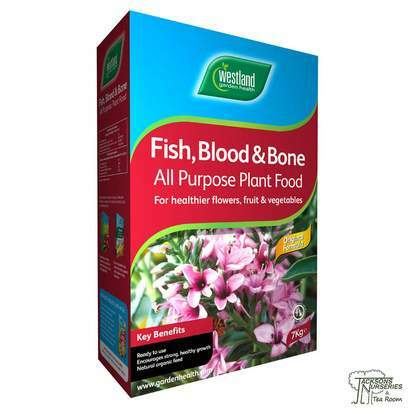 Feed in spring and early summer with a slow release fertiliser or a liquid feed. 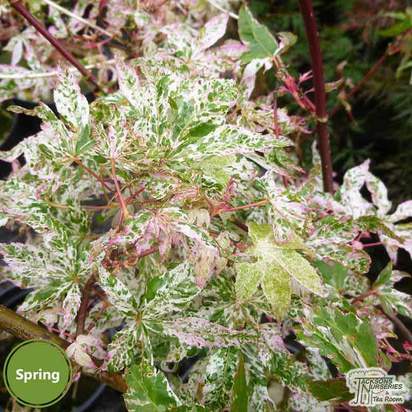 Try to avoid potting your Acers in overly large pots, start out with a pot approximately 5-8cm/2-3in larger than the pot it was in when purchased and re-pot by the same increase every couple of years, ideally in April or September. Pot grown Acers are particularly vulnerable to winter frosts. Wrap your containers with fleece or bubble wrap. 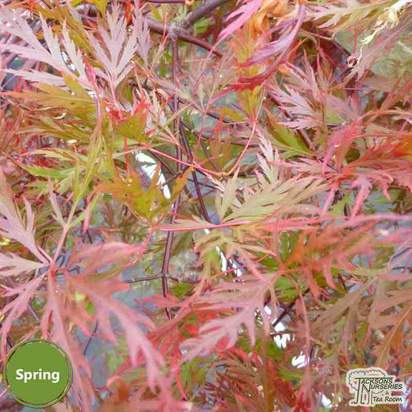 Japanese Acers require very little pruning, allowing your tree to grow naturally will be the best way to produce a graceful shaped specimen. 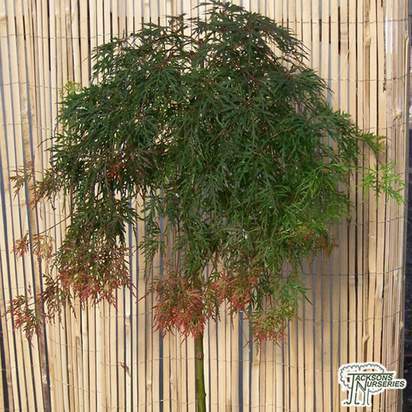 You may however wish to prune badly positioned or crossing shoots to encourage a better form, in this case pruning is best done when the tree is fully dormant usually from November to February, pruning outside of this window may result in a weakened tree. 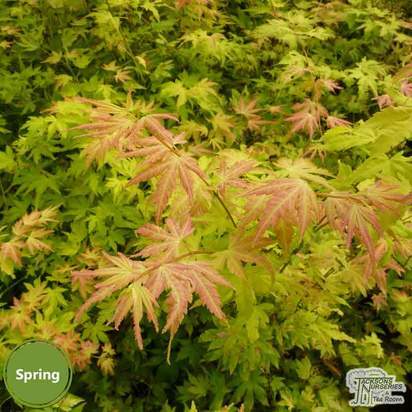 Japanese Acer are very prone to leaf scorch in both windy or excessively sunny positions. 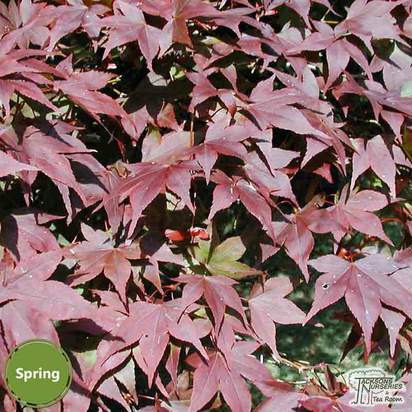 Red/Purple leaved varieties with green leaves or poor autumn colour may indicate insufficient light levels. Horse chestnut scale and other scale insect damage can be a problem as can verticillium wilt. 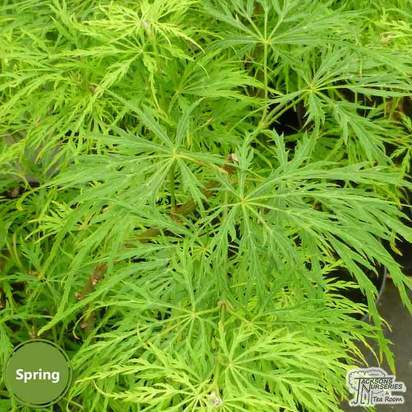 Pot grown trees can also be a target for vine weevils.